2013 : Charlotte Beaudry : Pleasure. "Pleasure (2013)", animatronic sculpture by Charlotte Beaudry. Release : April 11, 2013. Charlotte Beaudry : Pleasure, 2013. 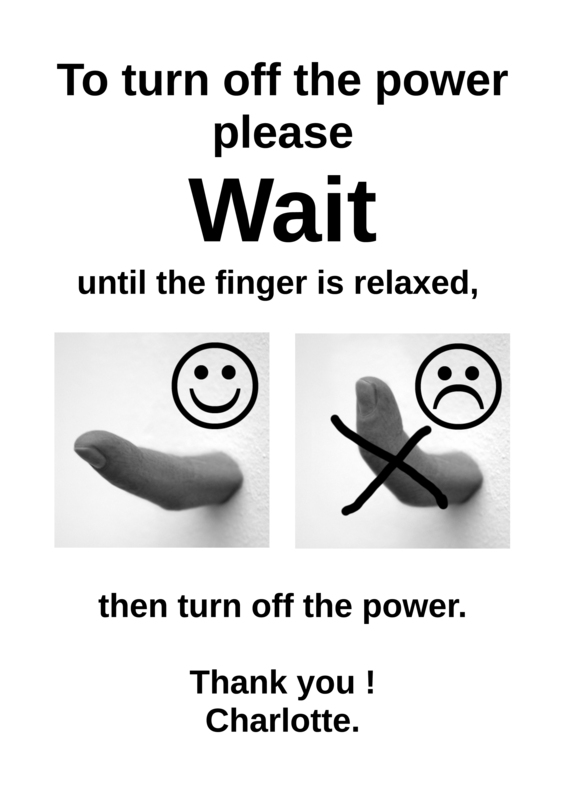 Protruding from the wall, an articulated index finger (1:1 size) performs a repetitive movement, slowly folding in on itself as if to say "Come closer". Download here the technical rider (A4, english, updated on May 06, 2013) as a zipped .pdf (1,4 Mo). Click on the preview for a full resolution .jpg picture (will open a new window). Or download here the "Warning sheet", A4, zipped .pdf (188 Ko). Molding and production : Laurent Couline. Direct link to the set on Flickr. 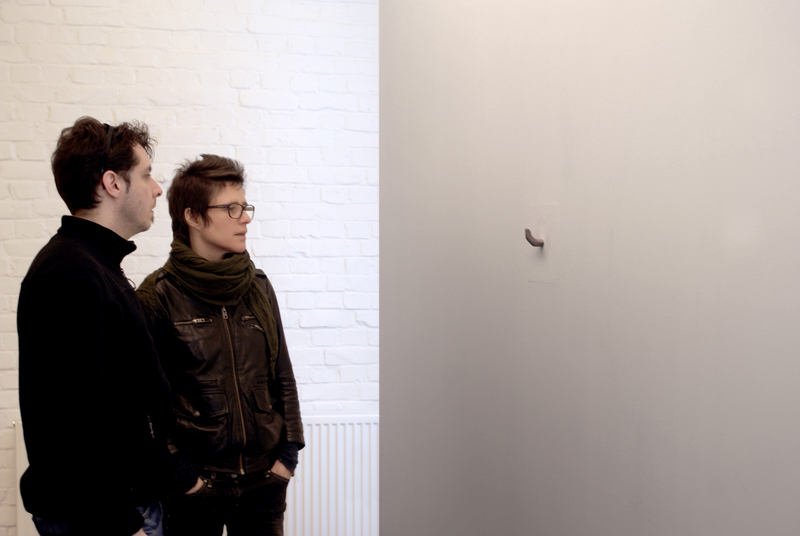 Charlotte Beaudry "Gloss" Solo Show at von Bartha Garage, Basel, November 2013. Charlotte Beaudry "Temptress" Solo Show at MOCAK, Museum of Contemporary Art in Krakòw, June 2013. Batterie, group show, Résidences-Ateliers Vivegnis International, Liège, April 12 to May 17, 2013 (Premiere). More pictures of "Pleasure" on my Flickr.